Have you ever wondered what it takes to become a member of the Avengers? 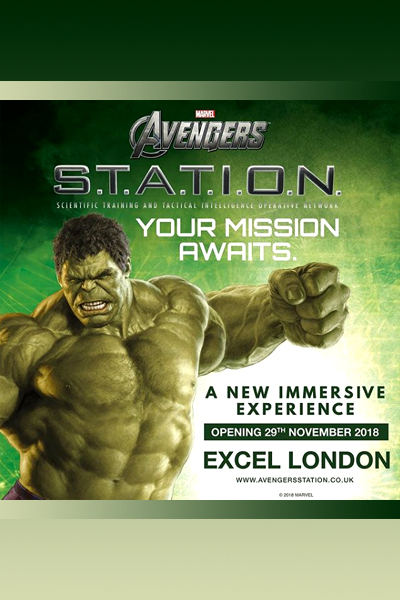 If so, then wonder no more, because, following a hugely successful run in New York, Seoul, Paris, Singapore, Beijing, Taipei, and Las Vegas, you might like to know that Marvel’s Avengers Station will now be setting up shop at London’s ExCeL Centre. Thor's Observatory: Which is where you’ll get the chance to find out if you're worthy enough to pick up Thor’s mighty hammer, Mjolnir! Or alternatively, you might like to have a look at his range of outfits or study the universe via a NASA satellite! Captain America’s Personnel Files: If you’re feeling in an inquisitive mood, then why don’t you explore the cutting-edge science that made Steve Rogers into the man he is today? Namely, Captain America! Trust me, this will make you into a right super soldier! 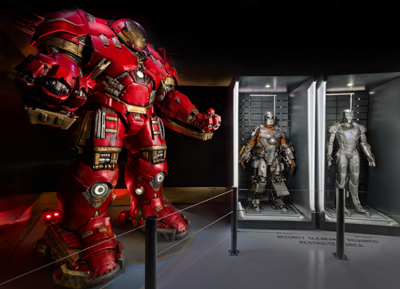 Iron Man's Engineering Bay: Within this section of the Station you’ll have the opportunity to get up close and personal with Iron Man’s iconic suits of armor and experience what simulated flight inside one would feel like. Bruce Banner's Lab: Do you want to see a timid Doctor transform into an Incredible Hulk? Yes. Of course you do. So step inside Bruce’s Bio Lab and look at the metamorphosis happen before your very eyes! Other attractions featured in Marvel’s Avengers Station include brand new displays on Black Panther, The Wasp, and Thanos, complemented with a huge collection of Avengers movie-based props, costumes, and interactive technology. You will also be able to purchase exclusive merchandise at the gift shop. Please Note: Those nice boffins at NASA have helped in the development of this experience so Marvel can enhance the level of authenticity and pique visitors' interest in real-world science and technology. 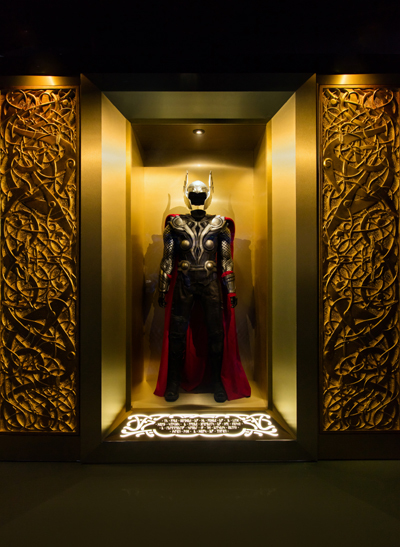 With comprehensive educational materials available for teachers, plus supporting materials created by Quantum Victoria, kids of all ages can learn about STEM pathways and scientific themes that are at the core of Marvel’s storytelling. Where: ExCeL London, Royal Victoria Dock, 1 Western Gateway, London E16 1XL. When: It will start on the 29th of November, 2018, and it will end on the 31st of March, 2019 (minus public holidays). Doors will be open every day between 10am and 8pm from Monday to Sunday. How much: £25 for adults; £14 for children aged between 4 and 13; £60 for a family ticket, and for any more information please click here. To find out more about Marvel’s Avengers Station, please feel free to subscribe to their official website, facebook, instagram, and twitter pages. Go on, click on one of the links provided and get ready for a super time.